Harlingen Consolidated Independent School District presents an evening of higher education on Thursday, September 27. 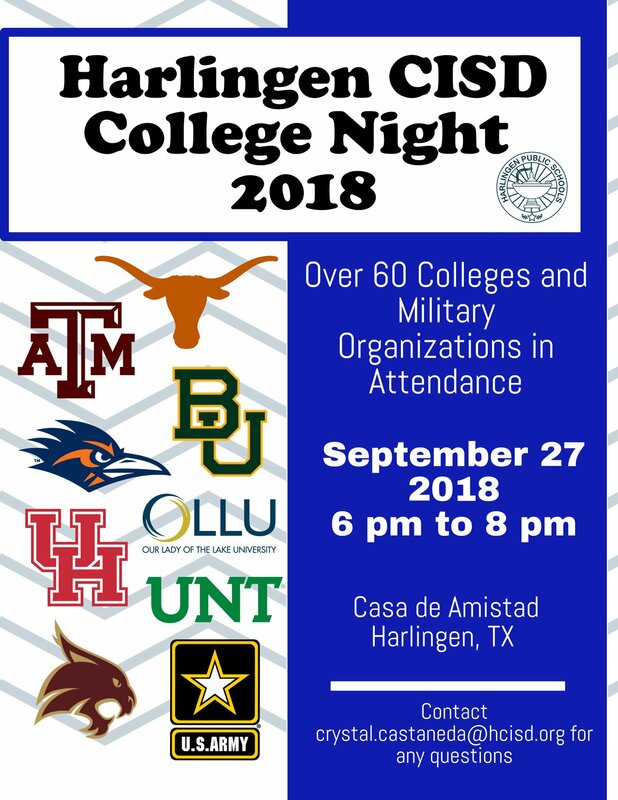 Hosted by Harlingen High School South, the event invites all HCISD high school students and students from high schools in the surrounding areas to attend and meet with over 60 colleges/military branches. College Night will be from 6:00 p.m. to 8:00 p.m. at Casa de Amistad located at 1204 Fair Park Boulevard in Harlingen. Contact crystal.castaneda@hcisd.org for more information.